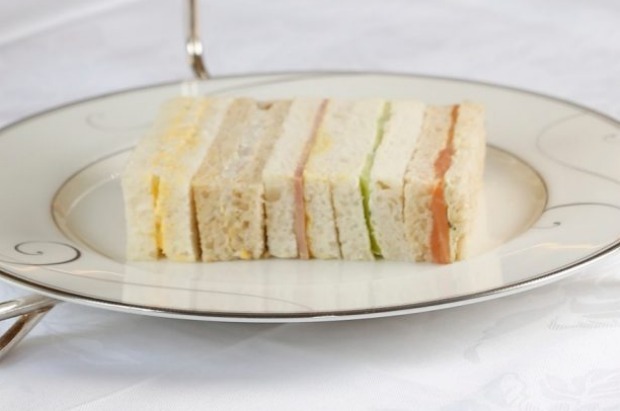 Finger sandwiches are synonymous with afternoon tea. They are often the only savoury component and have their own dedicated tea stand tier. The afternoon tea tradition is widely attributed to the seventh Duchess of Bedford who, in the 1840s, indulged in bread and butter, tea and treats to tide her over between lunch and a late dinner. 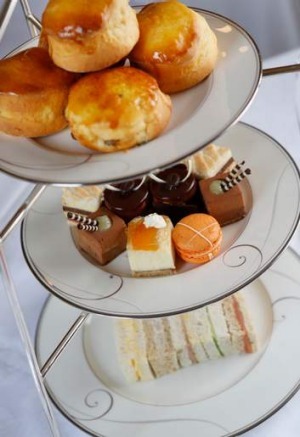 Afternoon tea is still a social occasion, with conversation paused briefly by nibbling dainty ribbon sandwiches and bite-sized petits fours. 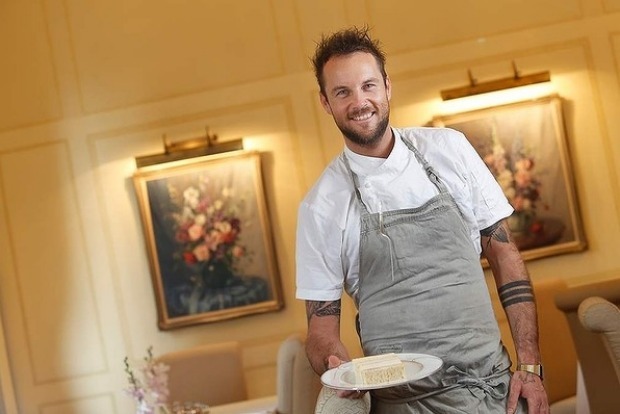 Joel Alderson has recently joined Melbourne's historic Hotel Windsor as executive chef and hasn't dared mess with the hotel's traditional sandwich fillings, including egg mayonnaise, and chicken and apple. The hotel has served its traditional afternoon tea daily since 1883. The golden rule of sandwich making is to make sure you incorporate texture into the sandwich: “You don't want monotone,” says Alderson. His favourite filling is egg mayonnaise. For something more contemporary, he suggests a Reuben-style sandwich on dark rye bread, or a textural chicken Waldorf salad-inspired sandwich lightened with fresh herbs, with crisp chicken skin for added texture. Experiment with different breads, for example, brown or multigrain bread complements meatier or fish fillings, while white bread works well with delicate fillings. Use a combination of breads for visual and flavour variation. Ask your baker to slice each loaf of bread lengthways, into long slices. This gives a greater surface area and makes it easier to trim the crusts. Keep plenty of moistened paper towel or dampened Chux-style clothes on hand. Place them on any exposed bread lengths to keep the bread moist. 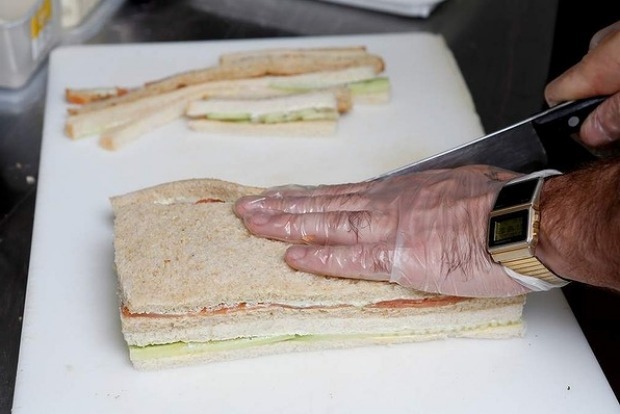 Cut the crusts off and slice the sandwiches just before serving so they don't dry out. Take the butter out of the fridge to soften, as spreading thick, cold butter can cause the bread to tear. Butter the sandwich lengths with a straight metal icing spatula. The long utensil gives more coverage than a regular butter knife. To ensure a moist sandwich, Alderson lightly butters both pieces of bread, including any sides that will later be slathered with a wet spread, eg. mayonnaise or creme fraiche. Be generous with the fillings and spread right to the edges. 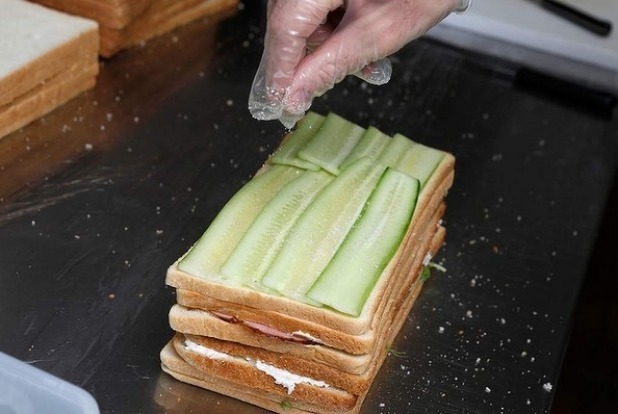 For thin layers like ham or cucumber ribbons, be sure to overlap the slices so there are no gaps. The ratio of bread to filling should be even. Set up your chopping board with a damp Chux-style cloth underneath to keep it steady. 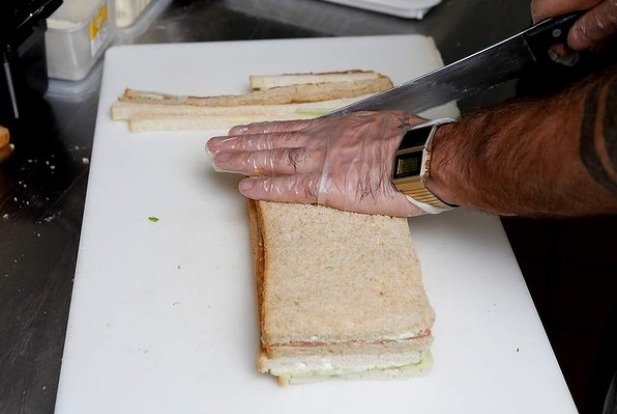 Use a serrated knife to gently slice the sandwiches and “let the blade do the work for you,” Alderson says. Be careful not to press down too hard and squash the bread. 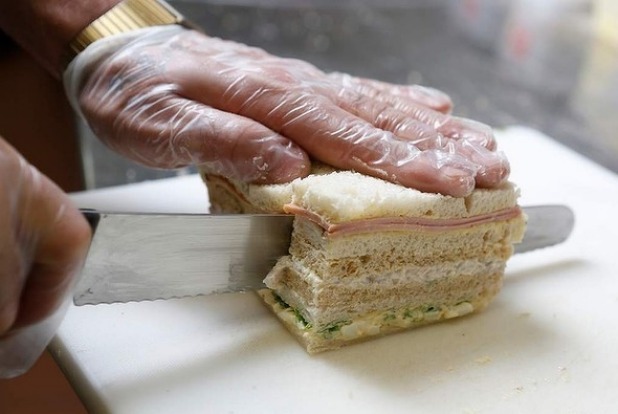 He positions the sandwiches in a time-saving tower, slicing multiple layers at once. Trim the crusts first, and then divide the sandwich length into six or seven portions (depending on the length of the loaf). 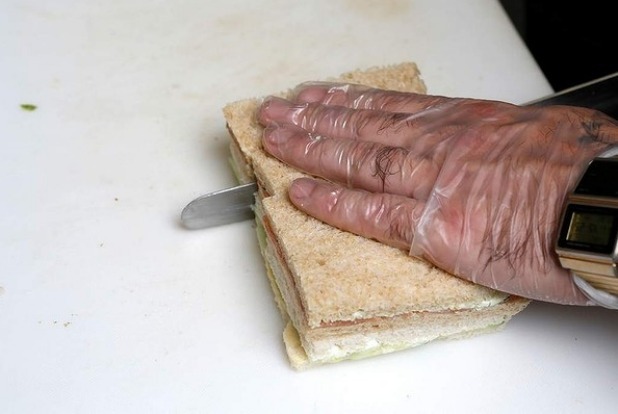 As a general rule, each sandwich should be “two fingers thick”. 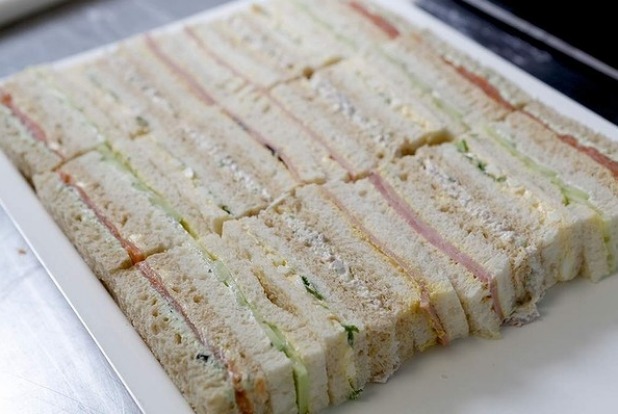 The hotel serves its sandwiches on the side in a neat row with fillings facing upwards. Cutting alternating fillings in a tower formation (see gallery) simplifies this presentation style. • When making large quantities of sandwiches, consider using a piping bag for wet fillings, eg. mustard, creme fraiche, avocado mousse etc. 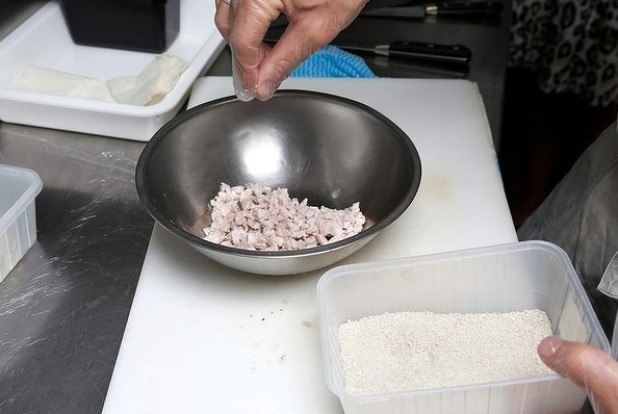 • Alderson recommends using chicken thighs, not breasts, because breasts can dry out due to their lower fat content. One loaf of white bread, sliced lengthways at sandwich thickness (ask your baker to do this) Note: This should provide at least four slices, ignoring the crusts. Gently poach the chicken thighs in the aromatic poaching liquid for 6 minutes at 80 degrees. Strain and leave the chicken to cool. 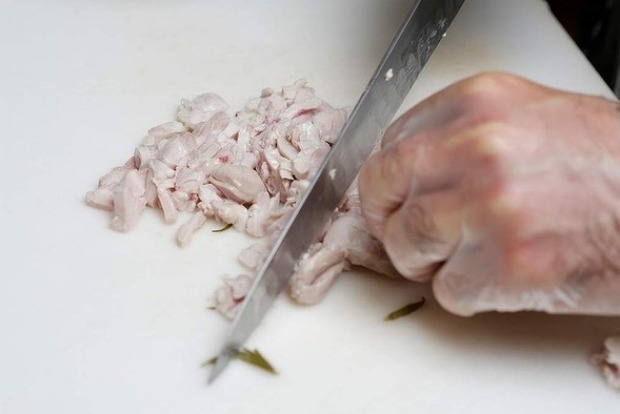 Finely slice the chicken thighs and then dice. “You don't want it to be like a paste, so make sure you have some texture,” says Alderson. Season with salt flakes and white pepper. 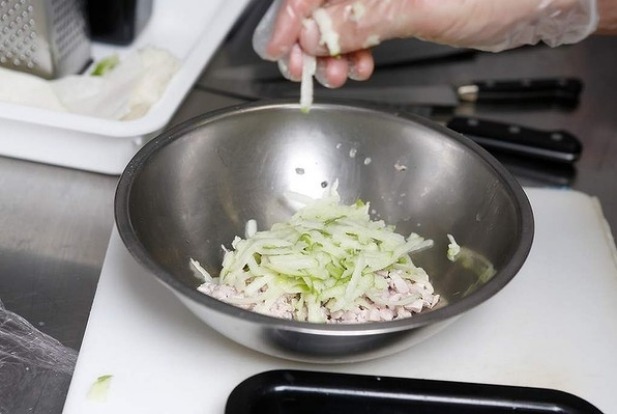 Coarsely grate the apple and add to the chicken (note: do not peel the apple, as the skin adds texture). 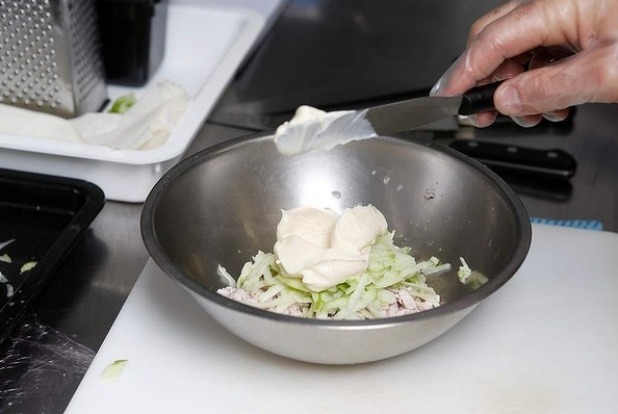 Alderson uses Granny Smith apples because the higher acidity cuts through the chicken and mayonnaise. Lightly butter four bread slices. Generously spread with the chicken mixture. Assemble the sandwich lengths as tower (see gallery). Remove crusts and slice into ribbons. Serve immediately after cutting. Mix finely chopped boiled eggs with mayonnaise and season. Spread the egg mixture onto the bread and top with fresh pea tendrils for texture. Alderson says chervil, tarragon, lettuce or celery can all be used as an alternative to the tendrils. The Hotel Windsor mixes Dijon and English mustards, or uses wholegrain mustard if you prefer. Alderson recommends using “strong” thickly sliced, double smoked gypsy-style ham. Peel cucumbers and then slice lengthwise into ribbons using a mandolin. 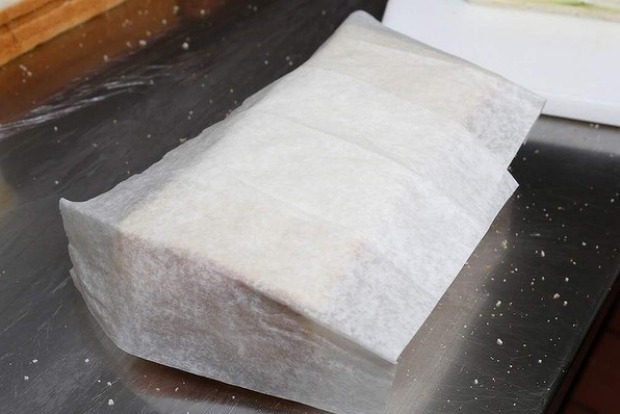 Rest the slices on paper towel for about 10 minutes to remove excess moisture. Lightly dress with olive oil. Arrange the ribbons on the bread so that they overlap. Sprinkle with salt and white pepper. 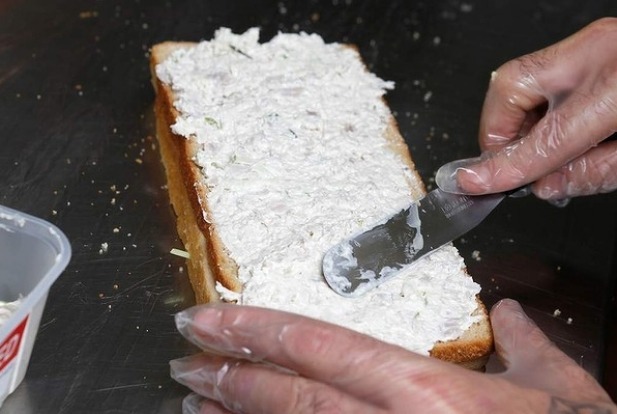 Make up a mixture of creme fraiche and finely chopped chives and spread a thin layer on the opposite bread slice. Alderson suggests using a smoked salmon with a good moisture content, and recommends removing the bloodline (the grey line down the centre) because it can be bitter. 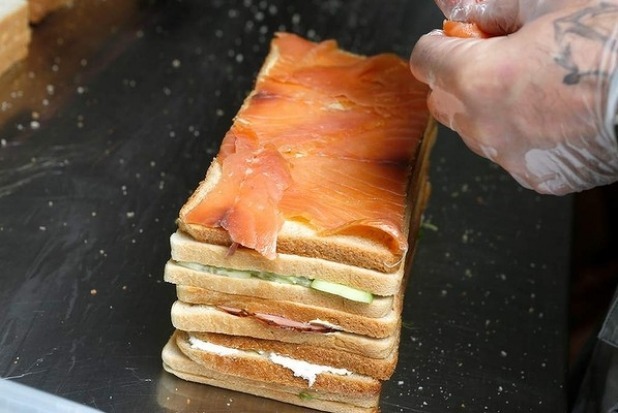 Be generous when overlapping the salmon slices on the buttered bread. 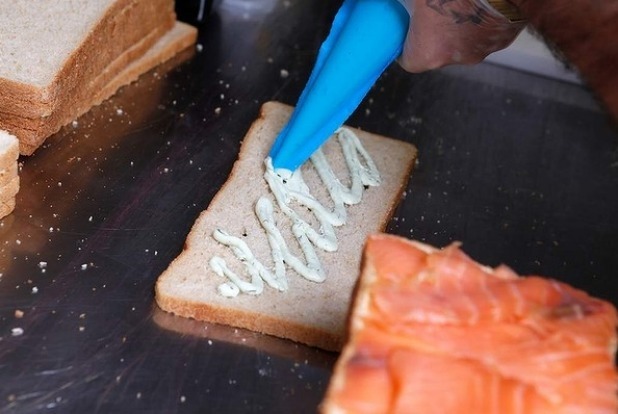 Make up a mixture of even parts fresh avocado to creme fraiche, mix through finely chopped dill fronds, and spread (or pipe) onto the facing bread slice. Whiz into breadcrumbs, or chop into cubes and toast to make croutons, or leave them on your sandwiches if you want curly hair. A note on high tea v afternoon tea. Although high tea sounds quite posh, it refers to the practice of the English working classes taking a more substantial meal with tea (essentially an early dinner), served at a "high" table, in the early evening upon returning home from work.